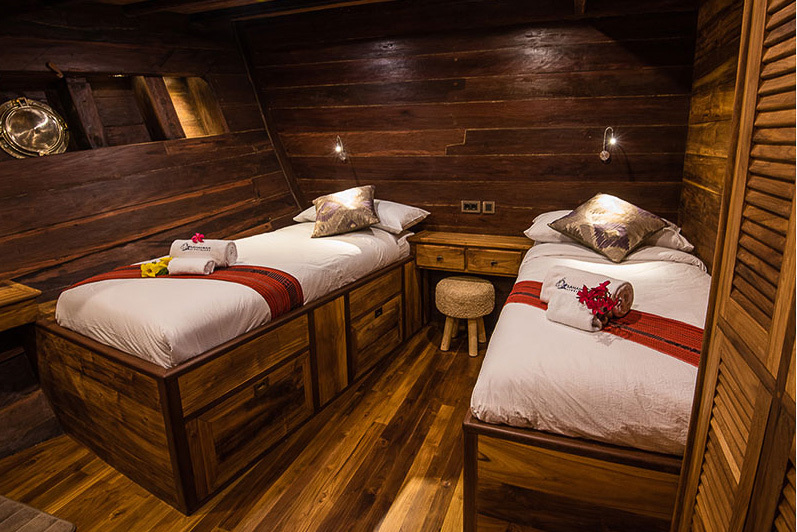 Samambaia - Indonesia luxury liveaboard diving - Book now ! 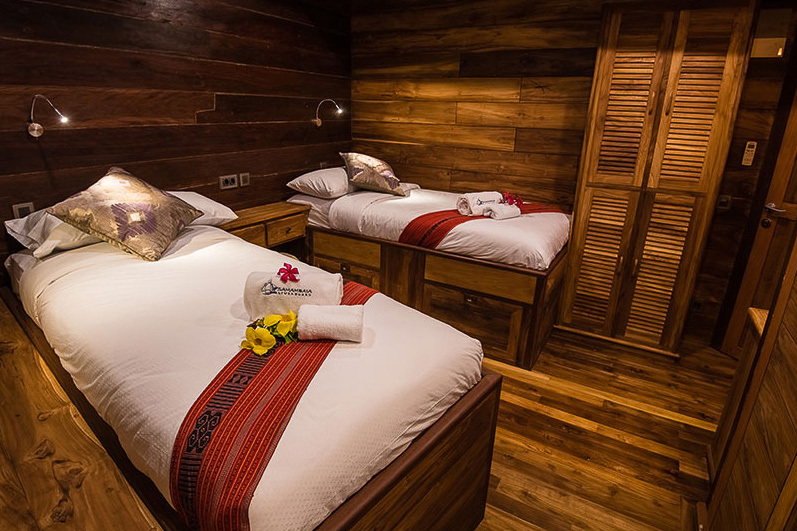 Samambaia's focus is the utter satisfaction of their guests. 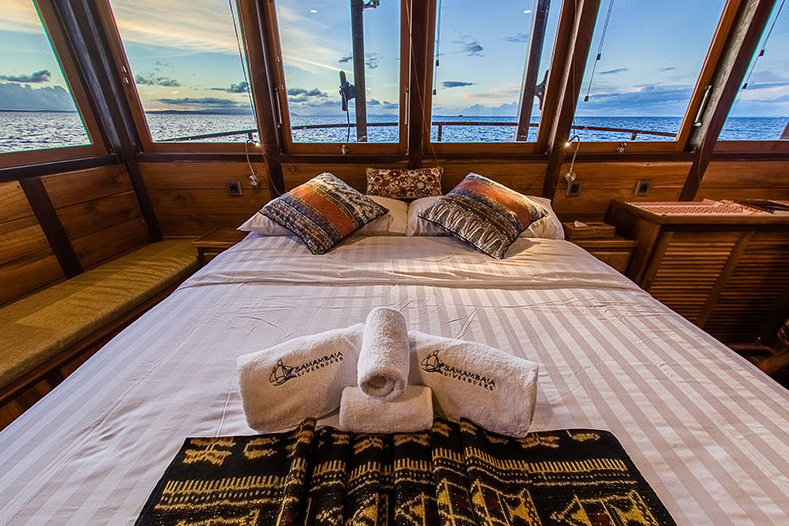 At 40 meters and catering to only 14 guests, the Samambaia offers 7 tastefully decorated staterooms: 2 double cabins, 2 convertible cabins (double or twin) and 2 twin cabins on the lower deck, plus a beautiful 160 sq.ft. 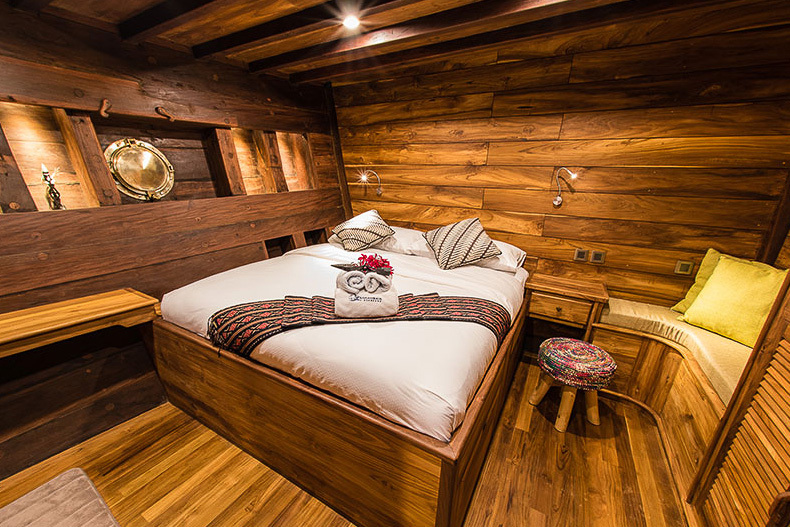 Master Cabin with stunning 180° sea views on the main deck. Each stateroom has a private en-suite bathroom, under bed storage, wardrobes and individually controlled AC. They provide a delicious and varied international cuisine prepared every day with locally sourced ingredients by our chef, and our galley includes fresh ice-cream and daily baked bread and pastries. 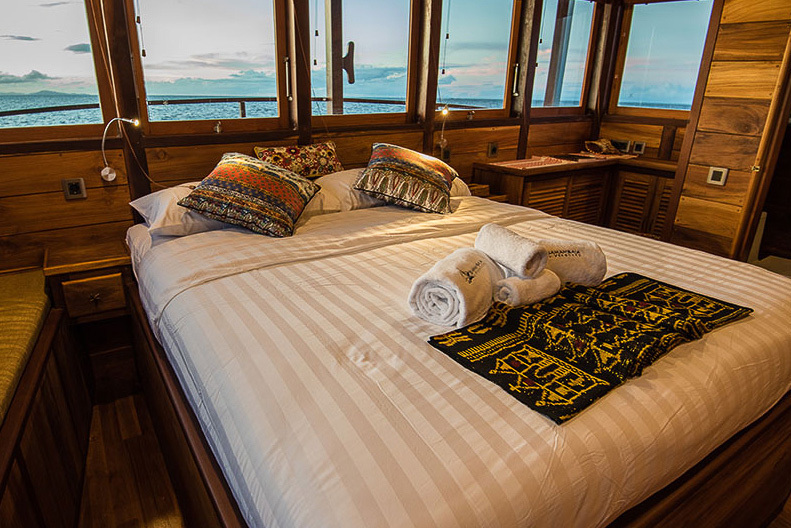 For relaxation you can choose the shaded sundeck and soak in the spectacular Indonesian views on the comfortable loungers, or enjoy a relaxing massage from the on board masseuse. Samambai offers unique cruises to Raja Ampat, Banda Sea, Alor and Komodo and an impressive dive guide to customer ratio of 4 to 1. 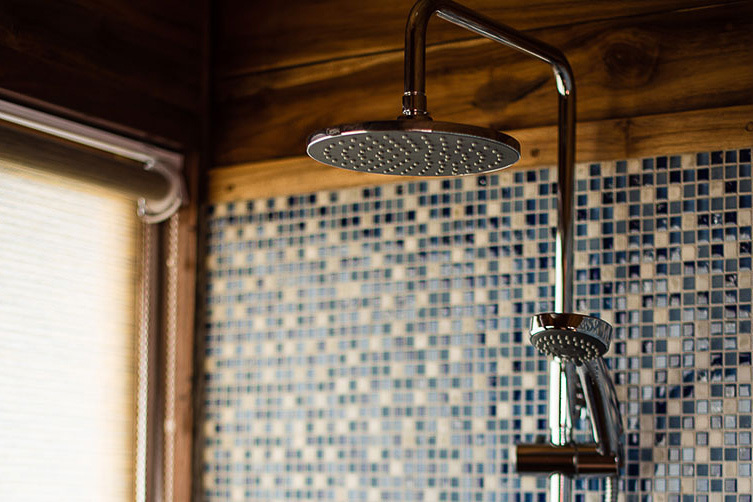 Especially designed for the guests dedicated to underwater photography they provide a camera room with separate camera work stations with integrated charging station. Divers can not only enjoy spectacular day and night diving, but a range of activities during the surface intervals such as scenic rides through lagoons and coves, trekking, visits to secluded beaches and whale watching. Last but not least, ALL our nitrox is free, just like the beer!. Italian Coffee espresso,self service : Macchiato, cappuccino, etc. 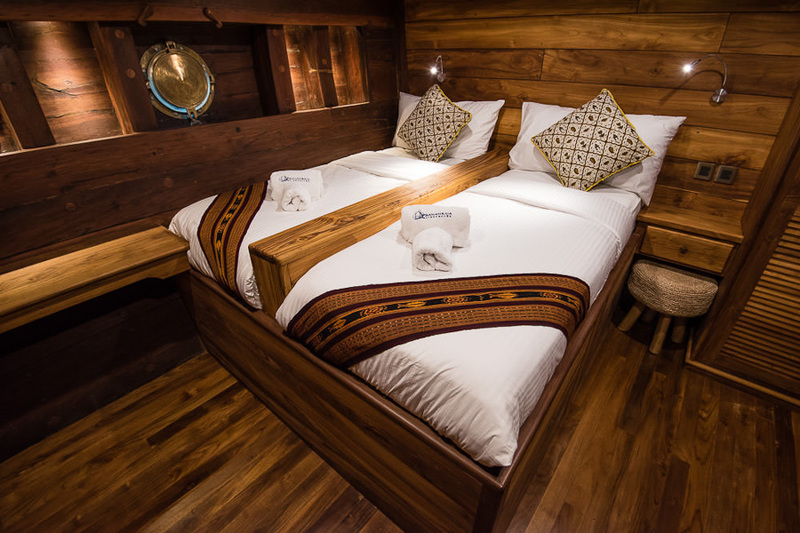 Samambaia offers 7 tastefully decorated staterooms: 2 double cabins, 2 convertible cabins (double or twin) and 2 twin cabins on the lower deck, plus a beautiful 160 sq.ft. 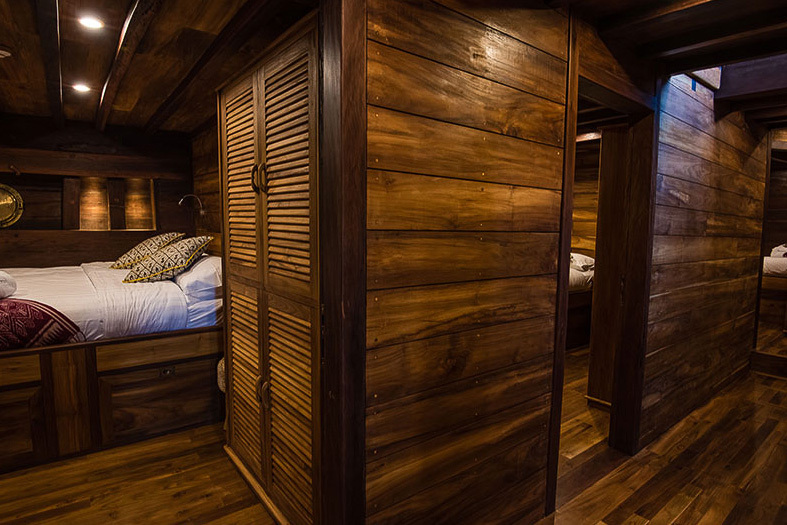 Master Cabin with stunning 180° sea views on the main deck. 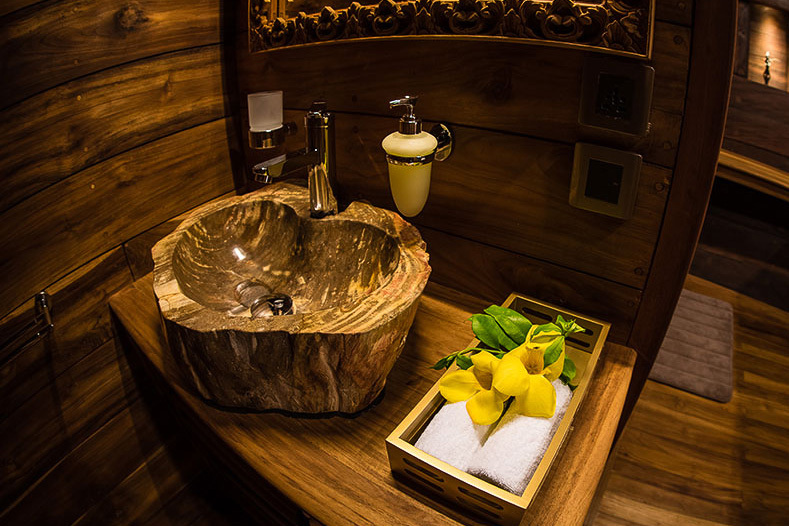 Each stateroom has a private en-suite bathroom, under bed storage, wardrobes and individually controlled AC. Navigation & Communication 2 x Garmin GPS, 2 x Furuno radar, 2 x Furuno depth sounder, VHF radios, SSB radio, AIS, Navtex.